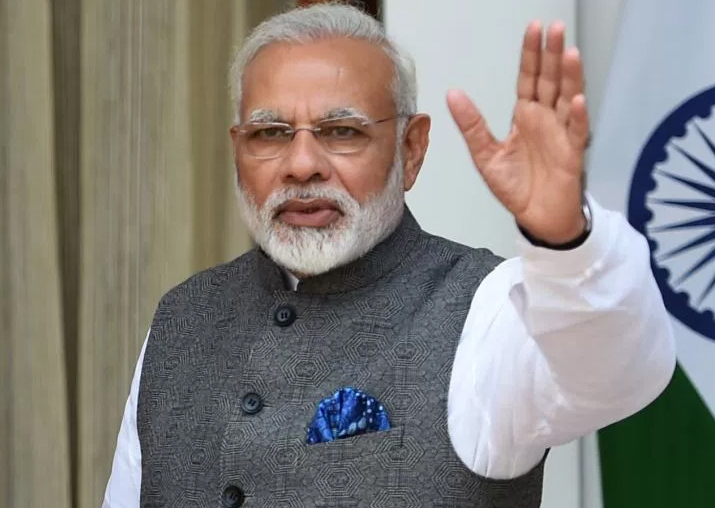 Prime Minister Narendra Modi is the only world statesman to have stood up to China and their Belt and Road Initiative, even though the US has been silent on the ambitious project till recently, a top American expert on China said today. During a Congressional hearing, Michael Pillsbury, Director of Center on Chinese Strategy at the prestigious think-tank Hudson Institute, told lawmakers that PM Modi and his team have been quite outspoken against Chinese President Xi Jinping's ambitious project. "The only statesman in the world who stood up to it yet, is Prime Minister Modi. He and his team have been quite outspoken, partly because the Belt and Road Initiative includes violation of Indian sovereign claims," Mr Pillsbury said. "But the US government, until now and this is a five-year-old initiative if you count the early part of it, has been silent," he said. Praising the Trump administration for its new Indo-Pacific strategy, the former Pentagon official said in recent days people have heard more than 50 times by members of the Trump administration including the president himself mentioning a "free and open" Indo-Pacific region. "The Chinese have already attacked this. They don't like it," said Mr Pillsbury, who is considered an authority on China-related issues. "The Indians, fairly recently, were joking about we want to make the Indian Ocean, by which they meant the purchase of several billion dollars worth of American PA aircraft, which have weapon systems in the back that can sink ships, frankly, and other improvements including maritime situational awareness and a big new center in Delhi where the Indians can keep track of both blue holes and grey holes going through the Indian Ocean," he said. "The Chinese are very angry about this. They have criticised the Obama administration for its effort to, as they say, boost India, to a higher rank order in comprehensive power than the Chinese believe India deserves," the top American expert on China said in response to a question. Senator Ed Markey said China's signature Belt and Road Initiative that aims to position China as the uncontested leading power in Asia "may further coerce" and bully its neighbours through loans they cannot repay. The Belt and Road Initiative aimed at building a vast network of infrastructure projects expanding China's expertise and capital to different parts of the world includes $50 billion China Pakistan Economic Corridor or CPEC over which India has protested as it passes through Pakistan-occupied-Kashmir or PoK. India boycotted the Belt and Road Forum (BRF) organised by China in May this year to highlight its concerns over Beijing trying to push projects through PoK. Speaking about alleged theft by China, he said the US companies face the threat of intellectual property theft with reports that China has been stealing cutting-edge research as well as sensitive trade secrets from the United States. And that includes companies working in the clean energy sector who cannot compete with state-backed firms. Mr Pillsbury also said the Chinese are offering low interest loans to countries that cannot afford it. "We're already saw the example of Sri Lanka, which fell behind in its payments and then was the subject of coercion that if you transfer the main port here in Sri Lanka to Chinese control, we will forgive the debt. The Sri Lankans did it," he said. There were serious concerns of debt burden brought in by the Belt and Road Initiative projects after Sri Lanka opted for long-term lease of its Hambantota port for a $1.12 billion debt swap. "...So we are beginning to see what the Belt and Road Initiative may mean," Mr Pillsbury told the lawmakers. Senator Markey said China is challenging the very underpinnings of the global order that has brought peace and prosperity. China has not lived up to its international obligations to help de-nuclearise the Korean Peninsula, he said. "No country has greater leverage than China, which is responsible for approximately 90 per cent of North Korean trade," he noted. Mr Markey said, "China is challenging the international system elsewhere as well. It has constructed in violation of international law, military bases on artificial islands and disputed areas of the South China Sea." "Through economic coercion, Beijing undermined the sovereignty of its smaller neighbours and countries including South Korea and the Philippines face Chinese retaliation for taking legal and sovereign actions in their own defence," he said.